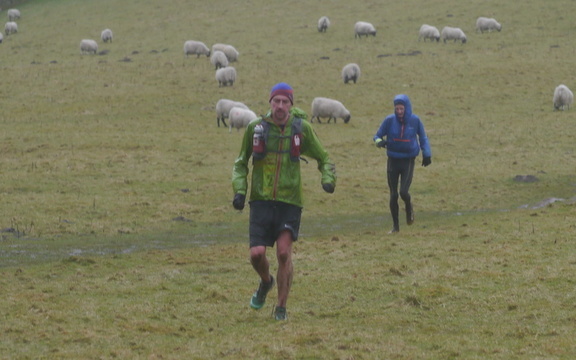 Dark Peak Fell Runners Film! Dry and clear. Warm, but not as bad as it threatened, with a bit of breeze and occasional cloud cover higher up. Welsh 1000m was also uncomfortably hot, although it was cloudy and cool on top of Snowdon for the finish. 117 were registered, 96 started, of which only 79 finished, which points to a difficult day out. Think I was the only Dark Peak member. Mercia had a good team, and Eryri obviously, but not many others out in force. Maybe it's the time of year with race clashes, or the linear nature, or the thought of getting off Snowdon after, but it's a cracker and hard to see why it's not more popular. Would love to see it used for a champs race!